Ace the Pediatric Board Recertification exam with the best ABP MOC Exam review online. We also offer ABP Board Certification Exam Review and a Pediatric CME Course. Over 1,700 of the best Pediatric board recertification review questions + AMA & AAP CME credits. Ongoing Pediatric MOC convenience & utility. Easy to use. Starting As Low As $599. See product & full trial options below. Take care of the Pediatric boards. Or take care of it all, forever. One-time purchase options include PRO & Library packages for “career MOC” convenience. Plus, our cost-saving renewal option can keep all your investments serving you every year. Start a full trial or purchase today. Buy once & never again. Low-cost Super Renewal option included. * Active Premium Membership (just $199/yr after initial year) required for annual account renewal updates. Ace the Pediatric Board Recertification exam with the best ABP MOC Exam Review Course online. 100% Pass-guaranteed Pediatric Board Review with ABP Maintenance of Certification benefits! Practice utility & re-use every year. One-time purchase! No more re-buys. All-asset super renewal option only $199/yr. Add other assets – still just ONE login. 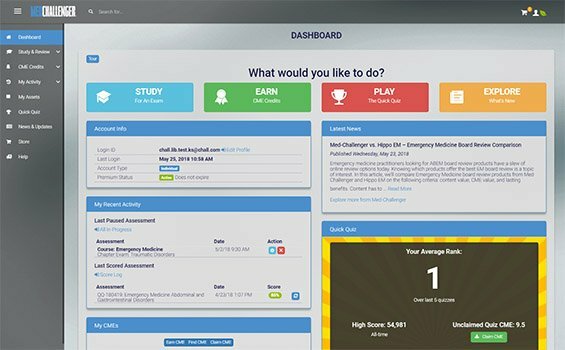 Med-Challenger offers the most exam-focused content and board review questions. Everything you need to know for ABP exams and current pediatric practice. Written & continually maintained by board-certified, practicing pediatric experts. All content is continually maintained by clinical expert peer-review. You don’t just get the best content. ABP publishes a content blueprint of the material that will appear on the exam. 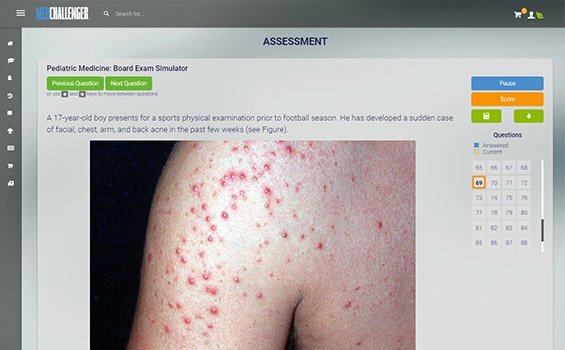 This is how we determine which material appears in Pediatric board exam simulations. All American Board of Pediatrics (ABP) diplomates (certificate holders) can enroll in Maintenance of Certification (MOC). This includes diplomates who are maintaining general pediatrics certificates, those with pediatric subspecialty certificates and diplomates with time-limited, expired or lapsed certification. You must be enrolled in MOC to gain access to ABP’s online activities. Regardless of the number of ABP certifications a person holds, each diplomate has only one MOC cycle, and all points earned by the diplomate apply to that MOC cycle. Although permanent certificate holders — in general, those who took their general pediatrics board exam prior to mid-1988 — are not required to enroll in MOC, the ABP strongly encourages all practicing pediatricians to participate. (The cut-off date varies for subspecialty certificates, so check your ABP Portfolio for your specific requirements.) MOC demonstrates to parents and medical peers that a diplomate actively works to build their knowledge and skills and maintain competency in the changing world of medicine. Permanent certificate holders who enroll and complete MOC activities will be listed as “Meeting the Requirements of MOC” on the ABP website. Sample Pediatric Medicine Questions from our Question of the Week blog. Earn and Claim Credits in a snap. Earn ABP Maintenance of Certification Points & ABP CME credit while you study. Knock out requirements fast. Med-Challenger PEDS is intended for pediatric medicine practitioners of acute and primary care or clinicians otherwise involved in the diagnosis and treatment of acute, emergent, or chronic medical problems. This activity is Jointly Provided by Postgraduate Institute for Medicine and Challenger Corporation. In support of improving patient care, this activity has been planned and implemented by the Postgraduate Institute for Medicine and Challenger Corporation. Postgraduate Institute for Medicine is jointly accredited by the Accreditation Council for Continuing Medical Education (ACCME), the Accreditation Council for Pharmacy Education (ACPE), and the American Nurses Credentialing Center (ANCC), to provide continuing education for the healthcare team. The Postgraduate Institute for Medicine designates this enduring material for a maximum of 168 AMA PRA Category 1 Credit(s)™. Physicians should claim only the credit commensurate with the extent of their participation in the activity. 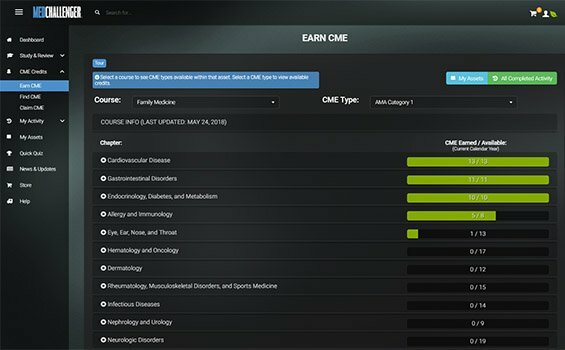 Successful completion of this CME activity, which includes participation in the activity, with individual assessments of the participant and feedback to the participant, enables the participant to earn a maximum of 168 MOC points in the American Board of Pediatrics’ (ABP) Maintenance of Certification (MOC) program. It is the CME activity provider’s responsibility to submit participant completion information to ACCME for the purpose of granting ABP MOC credit. This continuing medical education activity has been reviewed by the American Academy of Pediatrics and is acceptable for a maximum of 168.00 AAP credits. These credits can be applied toward the AAP CME/CPD Award available to Fellows and Candidate Members of the American Academy of Pediatrics. There’s a smart, forward-thinking reason that Med-Challenger is the best choice. You'll never have to re-buy assets ever again! One-time purchasing and a single low cost Premium Membership super-renewal! Get a FULL YEAR of use with every purchase. After that, simply RENEW your Premium Membership when the time comes. Only $199 / year renews access to ALL of your purchased Med-Challenger assets for another full year of use. We keep everything current and ready at all times, even adding new materials to annual MOC subscription products. No more re-buys! No more worries. Enjoy everything you need, on-demand, every year - for less. 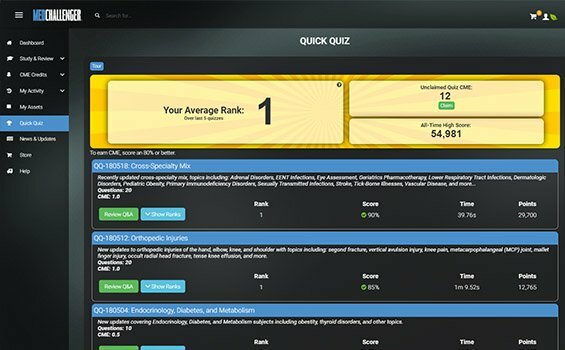 A quick look at why Med-Challenger is the best ABP review choice. Read more from our Pediatric Medicine Product Comparison blog. No risk. Pass the pediatric boards, guaranteed. Satisfy ABP MOC requirements too. Best Pediatric Medicine Board Review? Our Pediatric Medicine board review follows the ABP Model and the exam content outline for the American Board of Pediatrics (ABP) Examination. Proven effective for ABP Initial Certification and ABP maintenance of certification (Earn ABP MOC Part II CME Credits) requirement compliance, our pediatric board review follows the exam content outline for the American Board of Pediatrics (ABP) Examination and model giving you more than 1700 pediatric medicine board review practice questions with detailed explanations peer-reviewed by practicing pediatric educators. Intelligent, time-saving adaptive learning and prescriptive remediation produces the best review in the shortest time. Dashboards, custom exams, and other career-minded MOC utilities are also included. Our proven Pediatric Medicine board review (99.8% pass-rate) follows the ABP Model and the exam content outline for the American Board of Pediatrics (ABP) Examination. What’s more, with 168 AMA PRA Category 1 CME credit(s)™, 168 AAP Category 1 CME credits, & 168 ABP MOC Part II CME credits built-in, Med-Challenger’s pediatric board review Qbank, gives pediatricians everything needed to ace pediatrics exams and fulfill MOC requirements year after year with less time, labor, and worry. 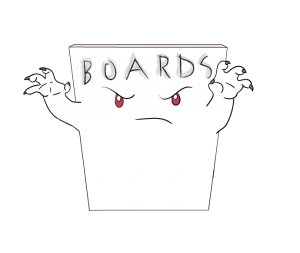 Med-Challenger’s Pediatric Board Review offers the best ABP review options. Join the over 120,000 pediatricians who’ve used Med-Challenger to outperform on exams – and protect their practice. Try it for free today. 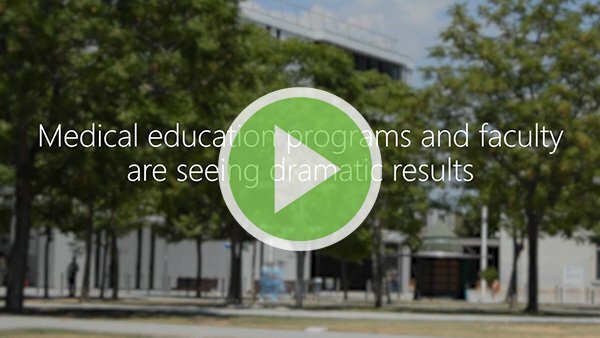 Looking for higher pass-rates, higher exam scores, less labor & more control? Request a demo of our group education platform.